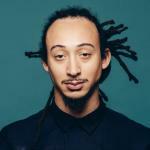 Dynamic trumpeter, composer, and bandleader Theo Croker leads a new big-band project, featuring some of the most important contemporary musicians in jazz. His acclaimed albums Escape Velocity, AfroPhysicist, and his 2019 release Star People Nation form the basis of this program, along with fresh interpretations of works from jazz masters past and present. Copyright Absolutely Live Entertainment LLC 2019. Home page photograph of trumpeter Mario Abney courtesy of Lee Whiteman.